I purposely waited to do this today. Early this morning, as soon as TheKid got on the school bus (a Small Success in his own right, given his track record for making the bus), Hubs and I headed off to the cancer center for his checkup. Yesterday, in the middle of all those awful moments when I was told Hubs wouldn’t be able to have the tests because of some insurance snafu, I cried. And then I prayed. I knew I wasn’t getting anywhere on my own with this. I prayed before I made the next phone call I had to make. One Memorare Express Novena (9 Memorares plus a bonus one in thanksgiving) and a plea to St. Jude later, I dialed the phone, sat around on hold for a few minutes, then disconnected the call when my call-waiting showed Hubs’ primary physician was dialing in–to tell us that he could, indeed, have the tests today. THERE IS NO WAY THAT WAS A COINCIDENCE. And yesterday was the feast of St. Jude, you know. 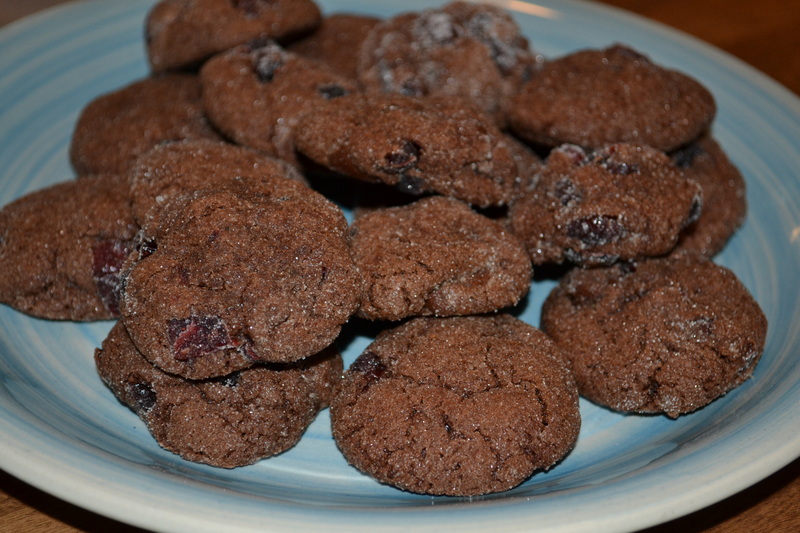 My new friend in radiology was happy for the cookies and immediately gave me her email address so she could get the recipe. By the time Hubs was done with his CT scan, she’d printed it out. The oncologist gave Hubs’ test results two thumbs up, so we’re all set for the next 6 months. We had to stop back at radiology to take care of a few details before we left. I was annoyed at the inconvenience–we’d already been there almost 4 hours and I’d had enough. But back we went, and I sat down to wait. And someone called my name. It was my favorite cashier from ShopRite. She and her husband go to our church, and he’s been quite sick recently. Today, he walked out of the X-Ray department looking better than I’ve seen him in weeks. He’d gotten a good report. We rejoiced together. There are not a lot of good reports in cancer centers. There are not a lot of people leaving there with smiles on their faces. Today we, and our friends, did just that. Tomorrow we’re heading back to the cancer center for TheDad’s 3-year, 36,000-mile checkup. I’m not ashamed to ask for prayers for his good health, as well as for all the patients we will see who are living out hell on earth as they navigate treatment for this cruel disease. UPDATE: waiting is even harder thanks to some stupid medical-insurance issues that I was TOLD were resolved last week. But this morning’s phone calls proved otherwise. Now it will be at least a week, if not longer, before this can be rescheduled. I am grateful to the people at the cancer center and our primary doctor’s office for trying really hard to work it out today. Unfortunately they were not successful. UPDATE ON THE UPDATE: We are back in for tomorrow! I prayed a “Mother Teresa Express Novena” (9 Memorares plus a bonus one in thanksgiving) and a prayer to St. Jude. 10 minutes later the phone rang. …at least, I hope it turns out to be that way. 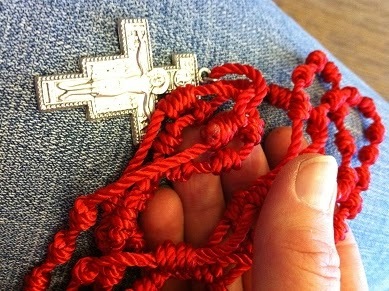 My pocket Rosary is ready to go; it will keep me company while I am waiting. Even if I’m too distracted to pray, there is great comfort in holding this Rosary, made (and prayed) by a caring friend, in running my finger over each knot that represents so much, in gripping the cord tightly in my fist. Please pray for us as we wait, as we attempt to keep the balance between hope and dread. 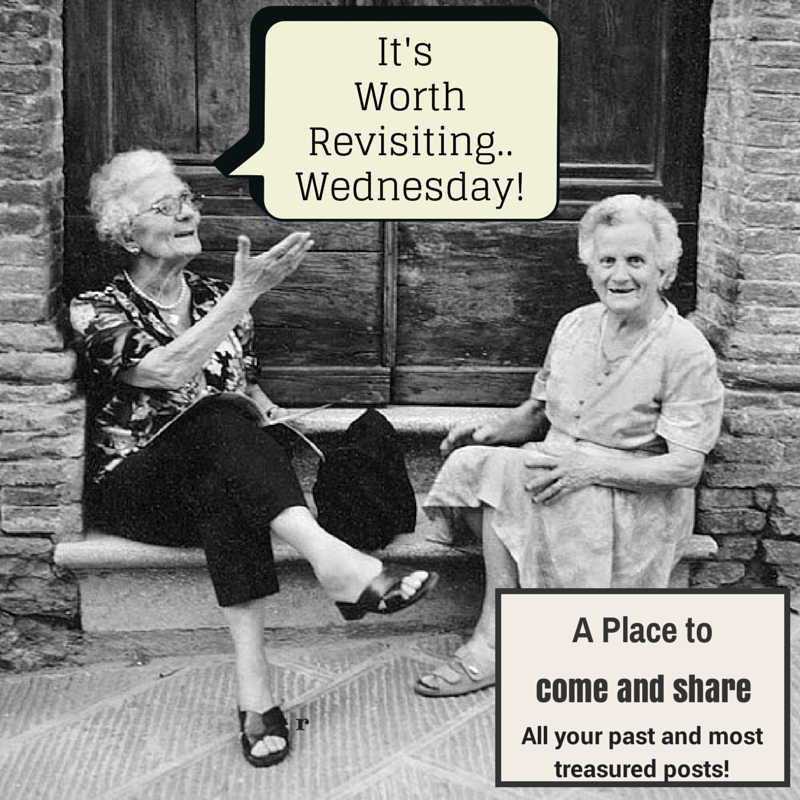 Link up at Worth Revisit Wednesday, hosted by Reconciled to You and Theology is a Verb! Did you hear that deep, deep sigh yesterday around 11:30 AM Eastern? That was me and TheDad after we met with the very personable surgeon at the cancer center. Under the circumstances, we got the best possible news. The tumor (what’s left of it) is in a place that is easy to access. It is not in, on or near any organs and it has not spread anywhere. Next Friday he will have it removed in a same-day surgery. After he recovers from the surgery he will begin radiation treatment. There will not be chemo because chemo doesn’t work on this type of tumor. Beyond that he will just need regular imaging to see if anything has returned but with this type of tumor the chances of it returning are pretty slim. I am ever grateful for your prayers and support. I feel like the really hard part is over now. We have a game plan, and we have assurance that the tumor is contained.